The story of the extremely fascinating but little-known medieval Spanish queen. This novel focuses on the key years of the eventful reign of Alfonso the 8th of Castile. 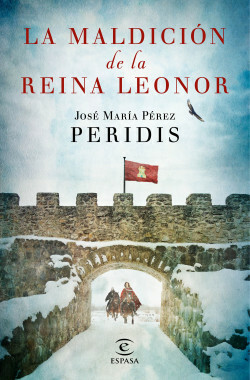 The protagonist is his wife, Queen Leonor of England, the daughter of the legendary Henry Plantagenet and Leonor of Aquitaine, whose greatest wish was to provide a male heir to expand the dynasty, a goal that would eventually be fulfilled with the birth of Fernando, a long awaited boy after four girls (for whom she arranged strategic marriage alliances). Peridismasterfully handles an extensive cast of characters, both historical and invented, whose adventures immerse us in one of the most fascinating periods of the Middle Ages. An uncommonly sensitive and knowledgeable recreation of the Christian courts and the lives of the commoners. A plot that centers around one of the most exciting episodes in Spanish history: the reign of Alfonso VIII of Castile, the eventful details of which can be considered a realGame of Thrones.